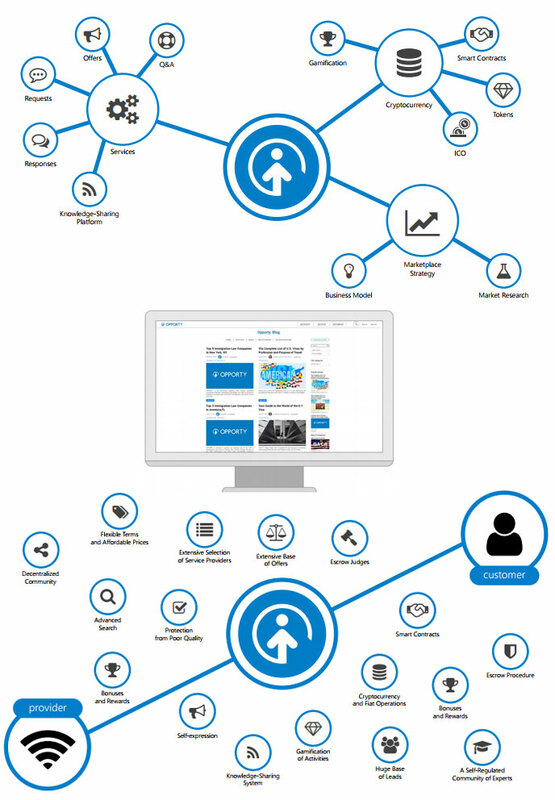 Opporty is a decentralized business oriented ecosystem with service marketplace and self-regulated knowledge-sharing community platform. 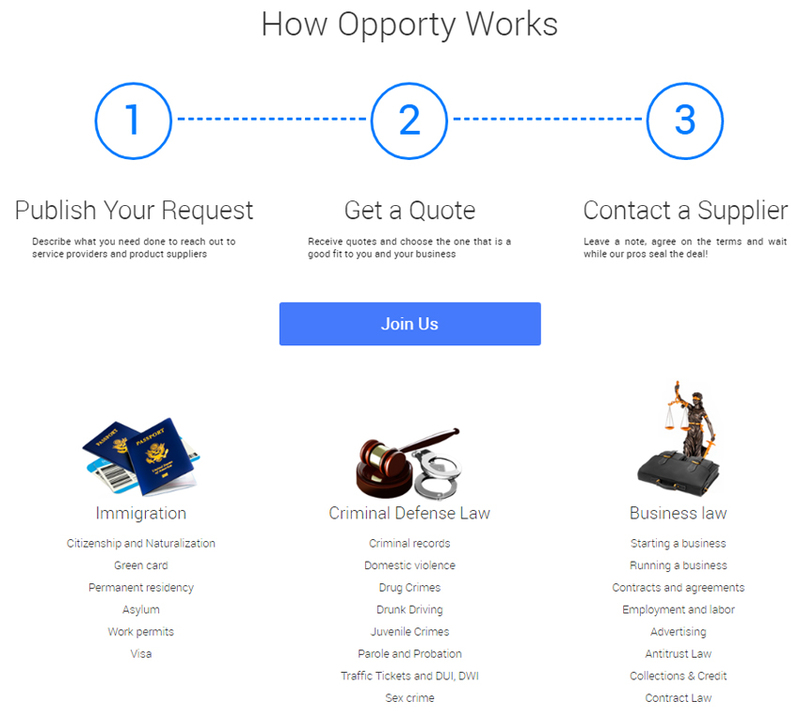 By oering blockchain-powered smart contracts and a decentralized Escrow system, Opporty puts client-contractor relations on the blockchain. The platform, with the help of its Expert community, ensures transparency and security, standardizes procedures, and creates an environment of cooperation that instills trust between parties. Combining the benefits of on-demand economy and blockchain technology, Opporty introduces a crypto-powered marketplace for B2B and B2C commerce. Specifically, the platform enables new models of social and commercial engagement by admitting companies to a powerful community of Opporty experts, and providing opportunities to build a professional reputation through knowledge-sharing that enriches the community. Blockchain-based gamification is at the core of Opporty’s ecosystem. The problem, however, is that only a small percent of small businesses can do so and survive. This is especially the case with service companies. There are multiple e-commerce platforms that can guarantee the delivery and quality of ordered products, but there is no platform that can guarantee the quality of services provided. As a result, customers do not trust new businesses on the market. The main problem Opporty seeks to solve is the problem of trust between parties doing service business, where any disputes can only be resolved in Civil Courts. We offer an alternative to this practice — decentralized Escrow provided by verified experts. brand of opporty, because brand is a valuable asset. Hopefully it works smoothly and working properly. So my comment, keep move on Opporty.